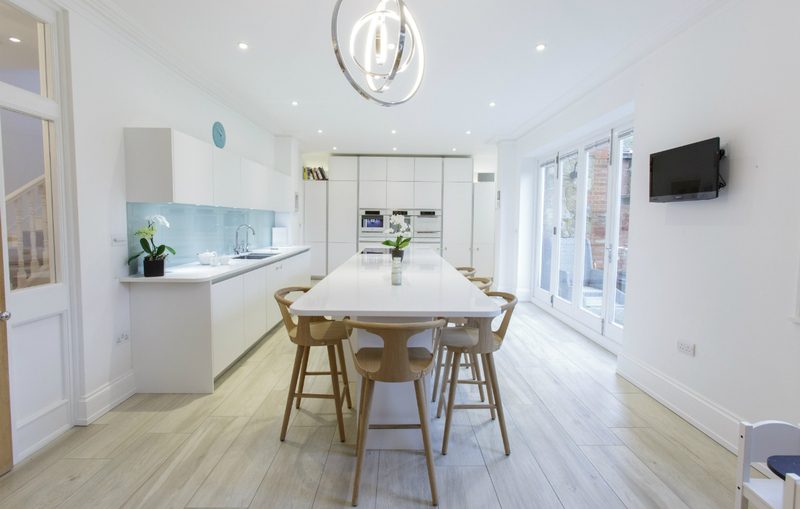 Revitalising kitchen in a stunning Victorian property to the 21st Century. 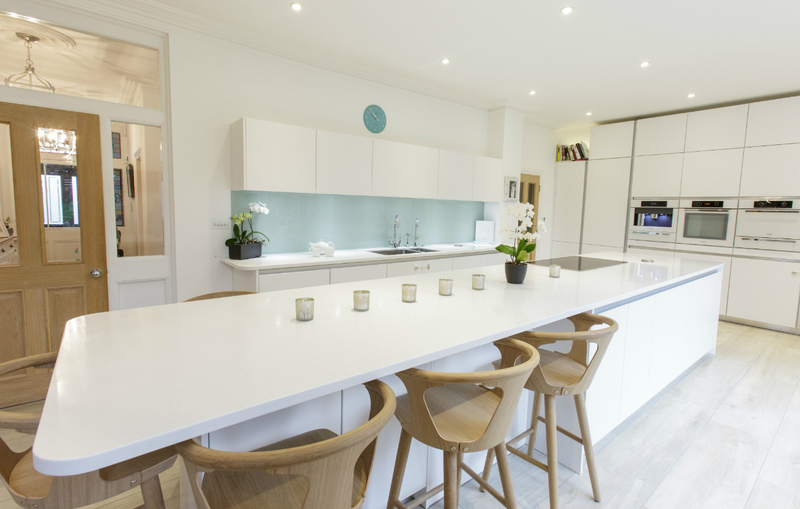 Centrally located to Guildford town this majestic Victorian property had seen many conversions through its lifetime and had now been turned back into a stunning family home. 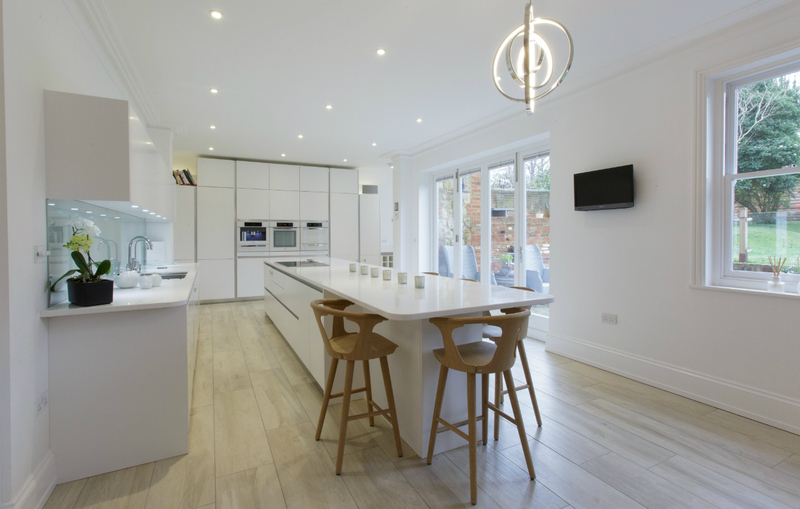 Desiring a modern minimalistic kitchen to contrast the imposing traditional build, we initially worked alongside the developer using unique handleless cabinets. 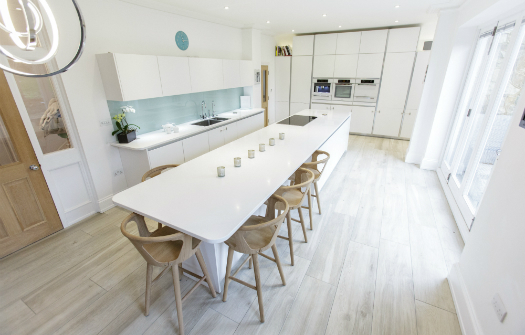 Softening the overall look of the units the top and bottom edges of the doors were rounded and finished in a matt lacquer to give a comfortable seam free finish. 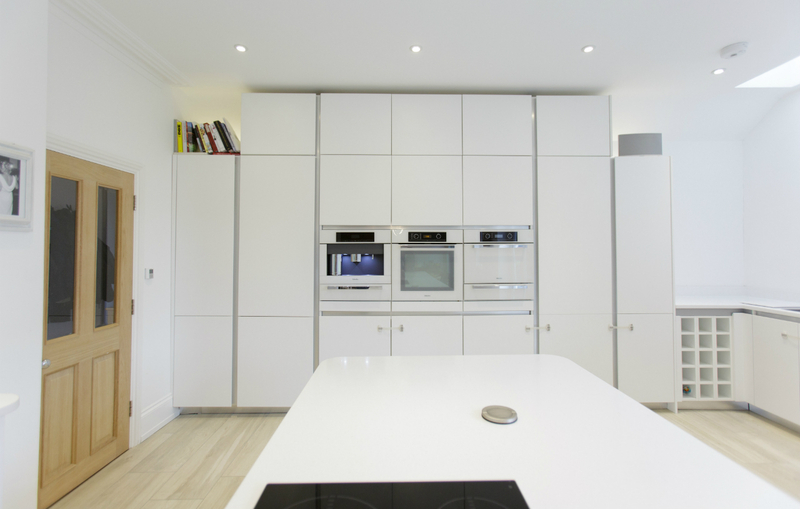 Set against a white background, Miele brilliant white appliances were included along with double stacking units maximising storage and taking full advantage of the period tall ceiling. 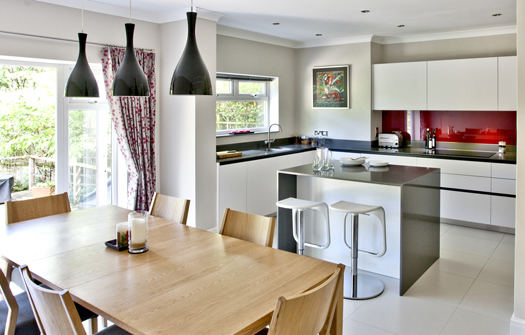 The new owners approached us to further develop the kitchen to meet the needs of their growing family. 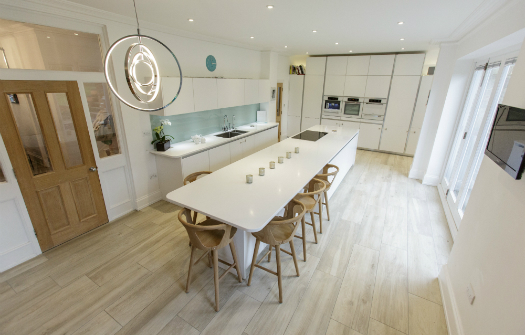 Extending the Corian worktops and adding to the existing furniture created a stunning island of 4.9 metres. 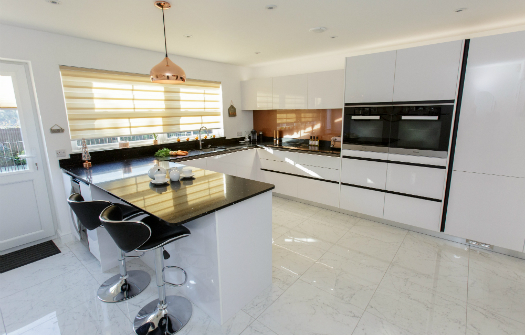 Creating memorable kitchens, contact us to discover kitchens designed around you.